No workout centre would be complete without a first-rate strength and conditioning program, and All Powers Gym has training pro Ben Hennegan on hand to provide expert advice on technique, diet and fitness drills. Ben has considerable experience in personal training, and runs highly effective classes designed for participants of any ability. If you are unsure which martial arts discipline is best for you, signing up to strength and conditioning sessions can enhance your physical condition in preparation for the day you graduate to a combat sports class. All Powers Gym is committed to building the greatest fitness and fighting community in the north. 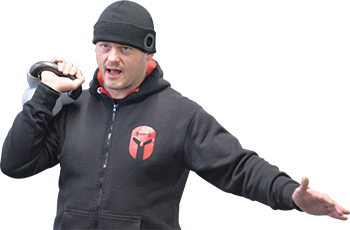 Expert martial arts tuition is available across multiple disciplines, with a specialist for each sport offering exclusive one-to-one sessions. Get in touch today to learn from the greatest and become part of the All Powers family. Get great value for money with pay-as-you-go monthly memberships available for Muay Thai, MMA and Boxing. Get up close and personal with our champions through 1-2-1 sessions at just £30 per hour.